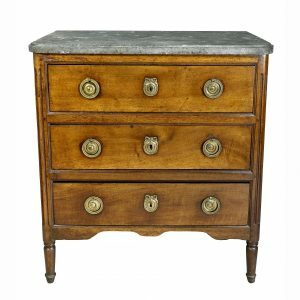 Rectangular top over four drawers with applied split balusters, raised on bun feet. In good condition. H 35.5 in. x W 38.13 in. x D 23.13 in.